Is owning your boat a love/hate relationship because of the work involved in keeping it looking good? It doesn’t have to be. Stripping back to bare wood after only a few seasons isn’t necessary when you use DeksOlje Marine Wood Finish. When properly applied, DeksOlje is easier to care for than any other finish on the market. 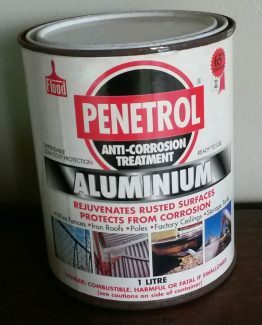 Its powerful penetrating oils go far beneath the surface. 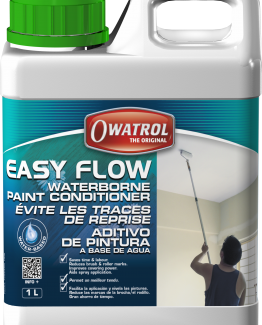 Other finishes deteriorate because water gets beneath the surface. THIS CAN’T HAPPEN WITH DEKS OLJE. DeksOlje weathers, but does not lift. So seasonal touch-up is easy. Recovery is like new. You also have the option of a matte or gloss finish. The secret of success is in following the unique application instructions. Don’t confuse DeksOlje with conventional teak oils or varnish. It is neither. 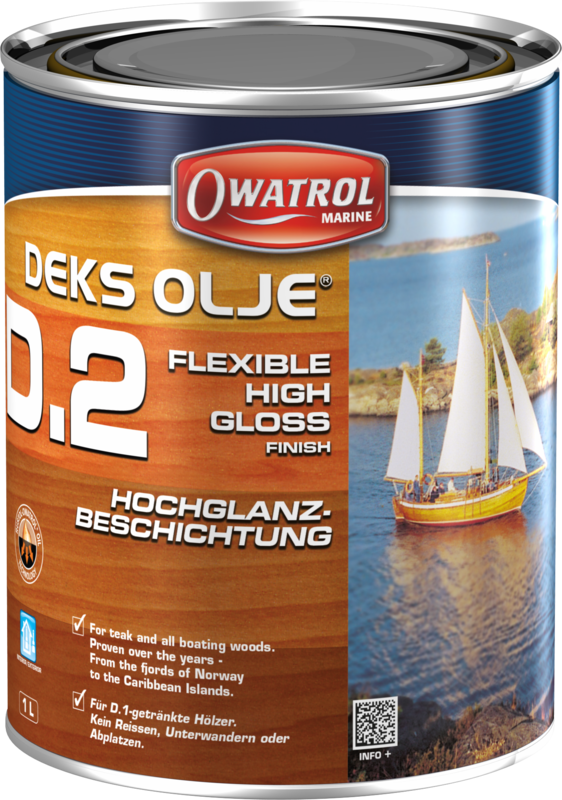 DeksOlje is the easiest to maintain finish afloat for teak and other boating woods or on any exterior hardwood for that matter. DeksOlje is availble in a matte (DeksOlje#l) or gloss (Deks Olje#2) finish and both will give years of service with NO STRIPPING back to bare wood. Touch-up applications on worn spots are all that’s necessary to maintain this finish. Even if wood is badly neglected, a good cleaning with Dekswood and a reapplication will restore the original brightness of the finish. The fantastic recovery power of DeksOlje has been put to the test for more than 50years in Scandinavia. Timber left untreated in a marine environment such as this teak companionway hatch will become grey and unslightly. The wood grains attract dirt and mildew and spoil the appearance and quality of the boat. Regular applications of DeksOlje will give wood surfaces a deep rich colour that stands up to the harsh marine environment and protects your valuable asset. * Apply DeksOlje #2 anywhere above waterline and below deck for a high gloss finish. NOTE: DeksOlje #2 may be too slippery for a deck, so many boaters prefer protecting traffic decks with DeksOlje #1 only. * Use a good varnish brush, roller or foam brush. * Apply five or six coats (one per day). 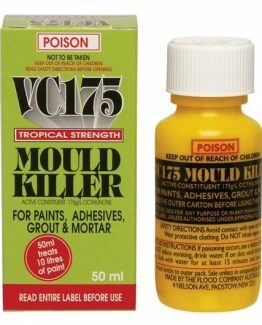 * Do not apply in damp conditions. * For the smoothest finish, lightly wet sand with DeksOlje #1 and #600 grit paper between coats 5 and 6. * Allow good air circulation for drying. * Once each year, lightly wet sand using DeksOlje #1 and #600 paper. Wipe dry and apply one new thin coat of DeksOlje #2. * During the season, lightly wet sand abraded areas as in step 1 and touch up with one or two coats of DeksOlje #2. * Keep finish free of salt by rinsing with fresh water when possible. * NO NEED to remove the original DeksOije #1 and DeksOlje #2. No more than 12 square metres per litre. *Brushes and rollers can be cleaned with Mineral Turpentine. *A rag soaked in paint thinner will clean adjacent surfaces while DeksOlje #1 and DeksOlje #2 are still wet. * Dried spills must be removed with paint and varnish remover. Some are available specifically for fiberglass. DeksOije #1 and DeksOlje #2 should be stored in containers which are completely filled to avoid “jelling” DO NOT FREEZE.